*A new 24-hour/seven-day-a-week broadcast television network based in Atlanta and targeted toward African-Americans is set to debut this fall from founders Martin Luther King III, Andrew Young and Andrew “Bo” Young III. 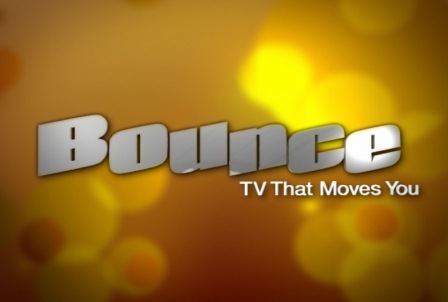 Bounce TV announced Monday it will target African-Americans between the ages of 25-54 with a programming slate featuring theatrical motion pictures, live sporting events, documentaries, specials, inspirational faith-based programs, off-net series and original programming. “I am proud that our network will deliver free programming exclusively for our under-served community and be accessible to all homes around the country and not just those who pay for television. We look forward to Bounce TV entertaining African American viewers for many years to come,” commented Ambassador Young. So far, the network has gained TV rights to nearly 400 motion pictures through multi-year licensing agreements with NBCUniversal Domestic Television Distribution, Sony Pictures Television, Codeblack Entertainment and Image Entertainment. The network also inked a multi-year rights agreement with Urban Sports Entertainment Group (USEG) to televise both football and basketball games from the nation’s largest African-American athletic conference — the Central Intercollegiate Athletic Association. “My father envisioned the day that African Americans would play major roles in entertainment within ownership, not just serve as entertainers on the stage or in front of the cameras. That’s what makes this even more exciting to me as we embark on this new endeavor of an independently owned and operated broadcast television network featuring African Americans,” said Mr. King III, a member of Bounce TV’s Board of Directors. Rob Hardy and Will Packer, co-founders of Rainforest Films, one of the top African-American production companies in the world, will also play important roles with Bounce TV. Hardy will serve as chief content officer while Packer will be chief strategy and marketing officer. Former Turner Broadcasting System Inc. executives Ryan Glover and Jonathan Katz will serve as executive vice presidents. Among the fare through deal with NBCUniversal Domestic Television Distribution: Jamie Foxx’s 2004 Academy Award-winning performance as Ray Charles in Ray; Denzel Washington’s Academy Award-nominated role in The Hurricane; The Bone Collector, which pairs Washington with Angelina Jolie; Spike Lee’s Do The Right Thing, Jungle Fever, Mo’ Better Blues; The Nutty Professor I and II, starring Eddie Murphy; Bowfinger starring Murphy and Steve Martin; Michael Jackson and Diana Ross headlining The Wiz; the 1995 comedy Major Payne with Damon Wayans; Dave Chappelle’s Block Party (2005) and the 1976 classic Car Wash. Among the titles through deal with Sony Pictures Television: Tom Hanks’ Oscar-winning performance opposite Denzel Washington in Philadelphia; Washington in the Civil War epic Glory and in Devil in a Blue Dress; Will Smith’s tour-de-force as Ali; Director John Singleton’s Boyz ‘n The Hood; Eddie Murphy and Owen Wilson teaming in I Spy; 1985 Best Picture nominee A Soldier’s Story; Richard Pryor and Gene Wilder in Stir Crazy; Pryor in The Toy; Sidney Poitier’s classic A Raisin in the Sun; and Janet Jackson in Poetic Justice. I like to know what system it will be afilliated with.